A new range of home furnishings in warm summer colours has just been launched by Mocha. The collection comprises of cushions and throws in a colour palette of turquoise, sand, navy and orange that help bring the outside in. Throws in this season’s ombre trend are perfect to use as bed throws, to dress up a sofa, or for wrapping up in on cooler evenings. The Ombre Throws are available in dip dyed shades of turquoise or sand. The turquoise throw adds some Mediterranean warmth to an interior. Each delicious shade of turquoise melts into the next like gentle rippling waves. While the sand throw is reminiscent of sitting on a beach, watching the golden sunset. 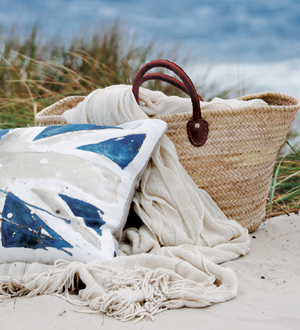 Coast Cushions spell summer and sultry days by the beach. They are a great way to give a sofa or bed a vibrant new look. 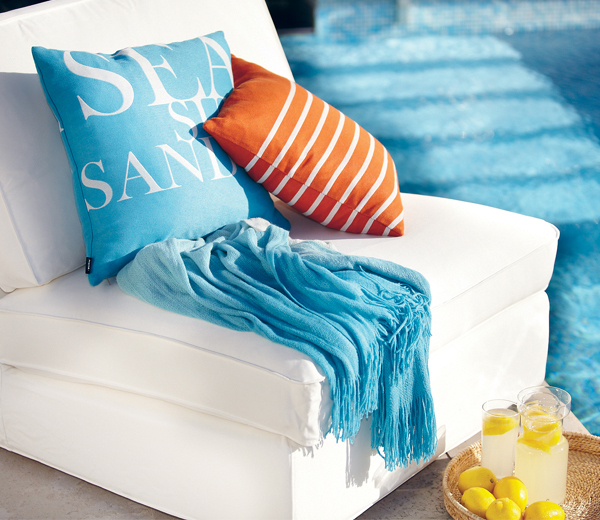 With the words Sea Sun Sand printed in bold typography, they bring a beach vibe into the home. These bright fresh cushions are available in navy, turquoise and sand. 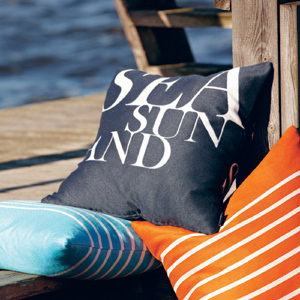 Bretagne Cushions combine nautical stripes with vibrant summer shades. Available in turquoise and orange they are great for adding a coastal accent to a lounge or bedroom. 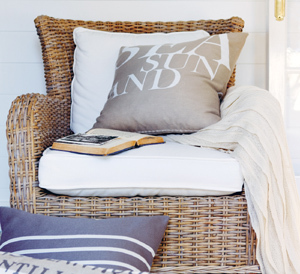 Bretagne Cushions can also be mixed and matched with the Coastal Cushions and Ombre Throws. 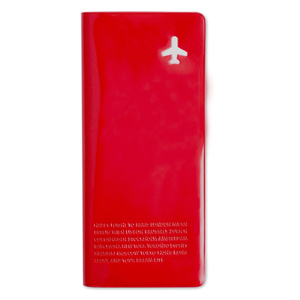 Travel in style with the Happy Flight Passport Cover. These passport holders are available in a selection of bright happy colours to dress up your passport and keep it protected. An extra internal pocket to fit your tickets or boarding pass, also means that you can keep your essential travel documents in one place. Made from wipe clean tactile PVC this travel essential will keep your passport looking great and easier to find in your bag. Whether going on a long adventure or short business trip, the Happy Flight Passport Cover will help make your flight a more relaxed and organized one. 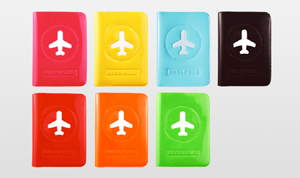 Happy Flight Travel Organizer keeps all essential travel documents together in one place. The travel wallet has five different compartments in various sizes for storing passports, tickets, cards and other important documents. This travel essential is designed to simply the check in process and make travelling an altogether more relaxing experience. Happy Flight Travel Organizer features a stylish and understated design. It is made of tactile enamel PVC with an image or a plane at the top and a list of some of the coolest cities along the bottom. Perfect for jet-setters and anyone who travels for work.